ARC Magic Wing Lip Spoiler - Dezod Motorsports Inc - Home of the automotive performance enthusiast since 2002. 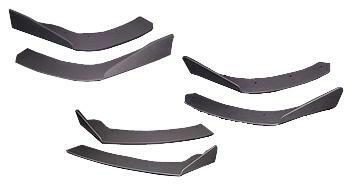 ARC Magic Wing Lip Spoilers are the perfect add on for any vehicle in need of additional downforce. The design channels air around the body, through reducing drag and increasing lap times. Manufactured from ABS to ensure reliability and resistance to damage.